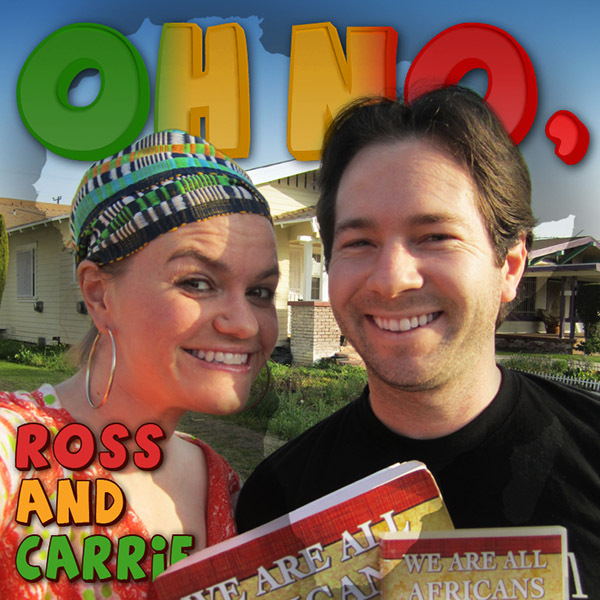 Join Ross and Carrie as they haul their 700-page We Are All Africans book to their first ever Pan-African meeting! Find out why Moses isn't all he's cracked up to be, how the human brain is proof of God, how eager Ross is to share Yahweh stories, and just how small Carrie's bladder is. Libations included! Tagged with African, All from Africa, Libation, Pan-African, We are all Africans, carrie, ross. February 1, 2012 by Oh No Ross and Carrie.